It is supposed to be warmer later this week, so we may yet see lizards in the canyon. The little ones are more likely to appear - but maybe we'll get lucky. 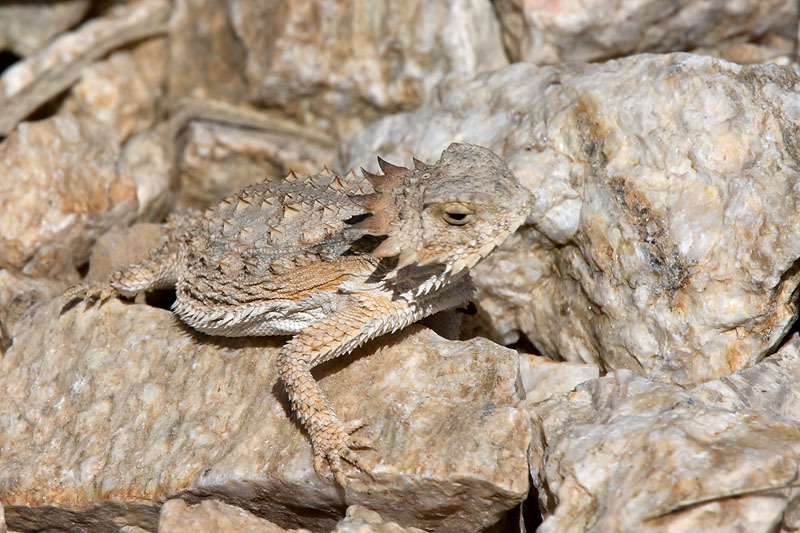 Regal Horned lizards are commonly known as 'horny toads', but they aren't toads at all. And, let's face it, who wants to called a horny toad? Some interesting facts can be found here; most notably: "Members of the North American group of Regal Horned lizards have evolved an exceptionally bizarre defense against predators: when under threat they can restrict blood flow from the head until mounting pressure ruptures small blood vessels in and around the eyes, resulting in a spurt of blood that may leap a meter (3 1/2 feet) or more (Cogger and Zweifel 1998)." Don't try this at home.